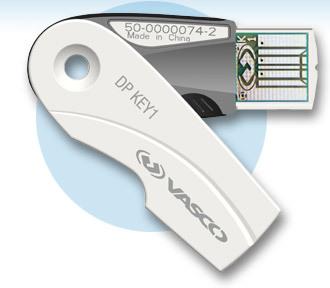 VASCO Data Security International has signed on a new client to deploy its new smart card reader product, the DIGIPASS 831. The Swiss financial institution PostFinance has plans to begin offering the VASCO product to their e-banking customers in the spring of 2011. With more than 2.7 million customers, PostFinance has implemented VASCO security solutions to nearly half of its clients since 2007. The institution has put special emphasis. This most recent version will combine standard functions like one-time password (OTP), challenge-response and electronic signature with EMV-CAP compliance. While making sure that the transactions occurring are legitimate, the DIGIPASS 831 also authenticates the actual users who initiate them.